American Tower Corporation agreed to acquire 100% of the outstanding common membership interests of MIP Tower Holdings LLC, a private real estate investment trust, which is the parent company of Global Tower Partners, for approximately $4.8 billion. 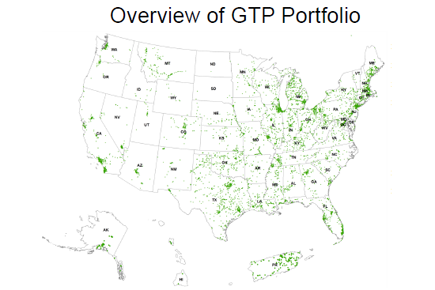 GTP owns and operates approximately 5,400 towers across the U.S., 800 domestic property interests under third-party communications sites, and has management rights to over 9,000 domestic sites, which are primarily rooftop assets. In addition, GTP owns 500 communications sites in Costa Rica. The deal increases American Tower's U.S. portfolio by 25%, strengthening its presence in top 10 markets, including New York, San Francisco and Washington D.C.
“GTP has constructed and acquired an outstanding U.S. portfolio of tower, rooftop and land assets, which is highly complementary to that of American Tower. Moreover, GTP’s management of these assets has been excellent, as confirmed through our rigorous due diligence process. GTP’s towers boast a high quality customer base, a strong position with respect to ground ownership and lease terms, and additional structural capacity available to facilitate future leasing activity. With all four major domestic wireless carriers engaged in aggressive multi-year 4G LTE deployments, we believe our acquisition of GTP solidifies our path to achieving our strategic goals related to growing our AFFO over the next five years,” said Jim Taiclet, Chairman, President and Chief Executive Officer of American Tower. American Tower will pay using approximately $3.3 billion in cash and the assumption of approximately $1.5 billion of existing indebtedness. American Tower expects to use cash on hand and borrowing capacity under its existing revolving credit facilities, as supplemented by additional anticipated sources of debt financing, to satisfy the cash consideration for this acquisition and other previously announced acquisitions. American Tower intends to maintain its financial and capital structure policies, consistent with investment grade credit metrics, and expects to use the quality cash flow and margin characteristics of the GTP portfolio to de-lever over time back to its stated target leverage range. American Tower expects that in aggregate, in 2014, the portfolio will generate approximately $345 million in revenues and approximately $270 million of gross margin, and is anticipated to be immediately accretive to Adjusted Funds From Operations (“AFFO”) upon closing. Last month, American Tower Corporation agreed to acquire up to 2,790 towers in Brazil and 1,666 towers in Mexico from NII Holdings for approximately $413 million and $398 million, respectively. Switch, which operates the SUPERNAPS data centers in Las Vegas, sold a record-breaking 19 megawatts of power to 23 clients during the month of August. 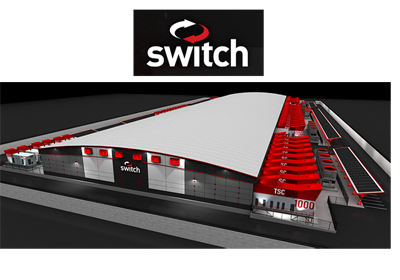 In June, Switch, which operates the massive SUPERNAP data center complex in Las Vegas, unveiled plans for its most advanced building yet. Oracle announced the availability of the Oracle Government Cloud, its suite of secure cloud applications built specifically for government. Oracle owns, manages and certifies the underlying technology for Oracle Government Cloud. The company is initially offering Software as a Service (SaaS). Infrastructure as a Service (IaaS) and Platform as a Service (PaaS) options will be available soon. “We are very excited to meet our public sector customers’ demands for a highly secure, robust suite of cloud solutions built for government. The maturity and transparency of the standards-based Oracle Government Cloud will enable agencies to confidently move mission-critical government applications to the cloud without compromising security, performance, or reliability. We are committed to helping agencies enhance operational efficiency through the cloud,” said Mark Johnson, senior vice president, Oracle Public Sector. NEC has developed an innovative, multi-stage cooling technology that enables data centers to reduce air conditioning power consumption by up to 50%. NEC is leveraging phase change coolants, which are able to remove a large amount of heat from the system at the temperature point when they change from liquid to vapor. The company said its technology is able to substantially reduce the air conditioning load inside server rooms because the heat from devices is collected before dispersed and is transported directly to the outside of the server room. In the case of a server room in which power consumption per rack is 12kW, total air conditioning power consumption (i.e. power consumed by fans and cooling machines) can be reduced by as much as 50%. Recent tests conducted at an NEC facility with 10 servers demonstrated that approximately 50% of the heat exhausted from the back of a rack was transported to the outside of the server room. NEC has also developed a technology used to distribute and efficiently circulate coolant through each level of a multi-stage rack based on the amount of heat generated. The system uses an environmentally friendly coolant with an ozone depletion potential (ODP) of zero and a global warming potential of less than one half of conventional products such as HFCs, thus providing an ideal balance between high-efficiency cooling and low environmental impact. Qualcomm Atheros introduced a low-power Wi-Fi chip familt designed to connect the "Internet of Everything." The new QCA4002 and QCA4004 networking platforms include the IP stack and full networking services on the chip to enable customers to add Wi-Fi to virtually any product. The platforms feature an on-chip processor and memory, which are designed to eliminate the need for a system controller that adds to product cost, complexity and power consumption. Using the QCA4004, customers can now write their own applications on the Qualcomm Atheros platform instead of simply using it for Wi-Fi connectivity. Target applications for the QCA4002/4004 platforms include major home appliances (such as washing machines, air conditioners, hot water heaters, and so on), consumer electronics, and sensors and smart plugs for home lighting, security and automation systems. The QCA4004 has been incorporated into a washer/dryer combo and an air conditioner unit by Haier, a global leader in home appliances and consumer electronics. The QCA4002/4004 platforms also feature the AllJoyn software framework, which enables the “Internet of things near me” by providing seamless connectivity and communications among a diverse set of products, applications and services to create compelling, proximal user experiences. The AllJoyn software framework provides basic building blocks for maximum flexibility and includes a set of services that, by design, are very simple and address near-universal requirements for users to interact with nearby things: onboarding, notifications, audio streaming and control. Both the QCA4002 and QCA4004 include a Green TX feature that allows devices to reduce the transmit power by up to one-half when in close proximity of another device or access point. This dynamic power adjustment, along with sleep modes consuming less than 1mW, allows for more efficient communication and longer battery life (in applications such as remote controls, thermostats and sensors). The low power sleep operation is handled through an onboard wake-up manager that enables self-wake and sleep management on the platform which can further reduce sleep power (down to microamps). Additionally, the platforms can wake from suspend four times faster than other products in the category, which reduces the total average power profile and any system latency. The QCA4002 is available in full production now. The QCA4004 chip is currently sampling. 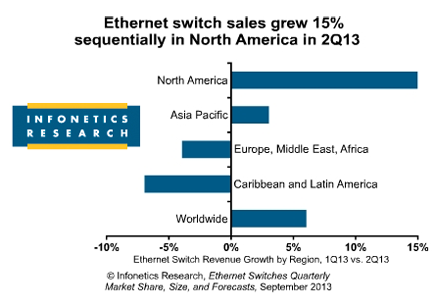 Globally, the Ethernet switch market was up 6% in 2Q13, to $5 billion, according to a new report from Infonetics. "In the second quarter of 2013, global Ethernet switch sales grew from a seasonally slow first quarter, but not enough to drive year-over-year growth," reports Matthias Machowinski, directing analyst for enterprise networks and video at Infonetics Research. "North America, the largest region for Ethernet switches, was the bright spot, with revenue jumping 15% sequentially,” continues Machowinski. "However, weak economic conditions persist in EMEA and demand is slowing in China and Japan, tempering overall growth." Alcatel-Lucent, Enterasys and Juniper all posted strong (+20%) sequential revenue gains in 2Q13. Ericsson has acquired Airvana Network Solutions' EVDO business. The acquisition resolves a lawsuit filed by Airvana in Februaru 2012 against Ericsson. Financial terms were not disclosed. Airvana Network Solutions is a Massachusetts-based company and supplier of EVDO software to Ericsson. EVDO software enables data transmission in a CDMA wireless network and is an important part of the CDMA ecosystem. Airvana's approximately 38 EVDO specialists joined Ericsson group. 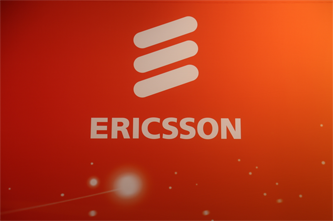 Ericsson said the acquisition ensures long-term support for its CDMA customers. Telefónica has selected Ericsson selected as its LTE vendor for the cities of Madrid and Barcelona, among others. 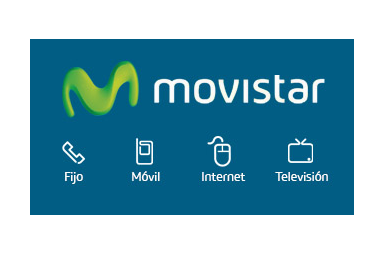 The roll out cover about 1000 nodes in 2013, in order to support Telefonica's goal to take 4G to as many customers as possible already this year. Financial terms were not disclosed.